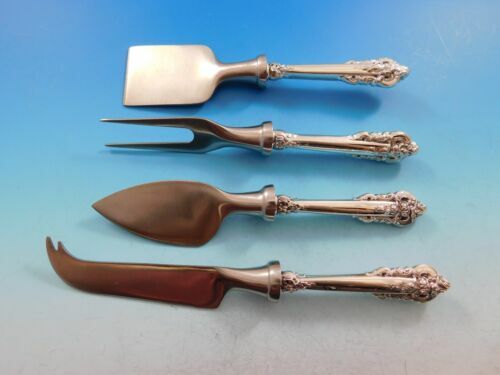 $3.25 (3 bids) Grand Baroque by Wallace Sterling Butter Knife - 6-1/2"
$129.99 Grande Baroque by Wallace Sterling Silver 2 Piece Baby Fork and Spoon Set 4"
$99.99 (1 bid) 10 Vintage Towle 1932 King Richard Sterling Spoons, No Monograms-Excellent! 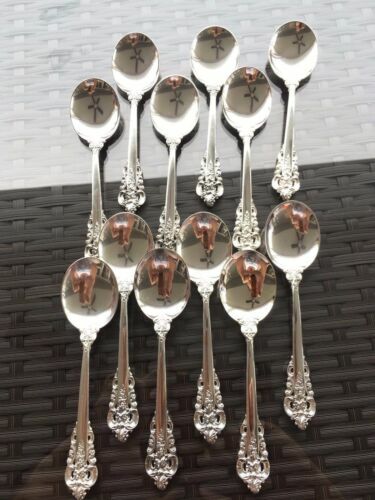 $95.9 ONE LARGE OVAL SOUP SPOON DINNER WALLACE GRAND BAROQUE STERLING SILVER 7" RARE!! 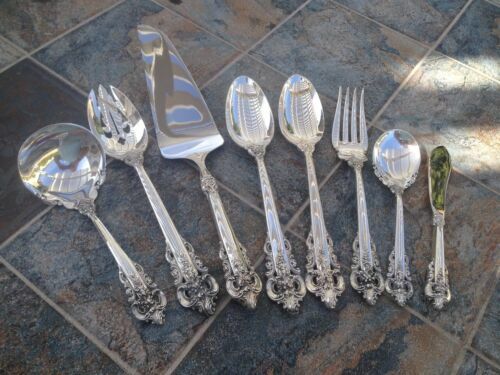 Buy: $220.0 Vintage Renaissance By Reed and Barton Silver Plate Candelabra FREE SHIPPING !!! 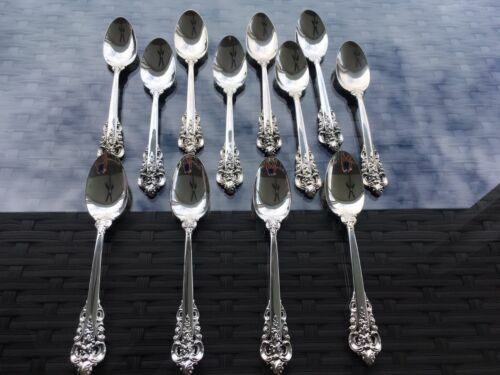 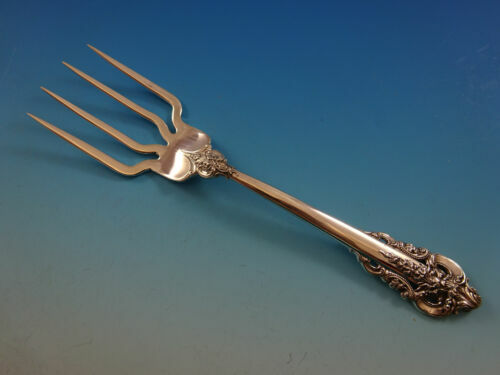 Buy: $90.0 Grande Baroque by Wallace Sterling Teaspoons, Lot of 4 6.5"
$45.0 GRANDE BAROQUE STERLING SILVER INDIVIDUAL FISH KNIFE-FINEST 1941 WALLACE!! 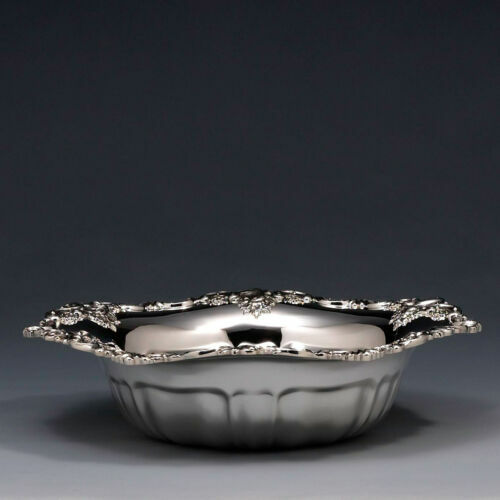 Buy: $104.08 Vintage Solid Hm'd 925 Silver Highly Embossed Kiddush/Communion Wine Cup, 62.9g. 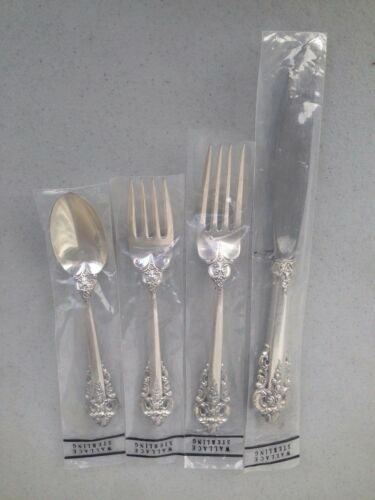 $1136.0 (19 bids) EXCEPTIONAL PAIR BAROQUE STYLE STERLING 925 SILVER CANDELABRA CANDLESTICKS. 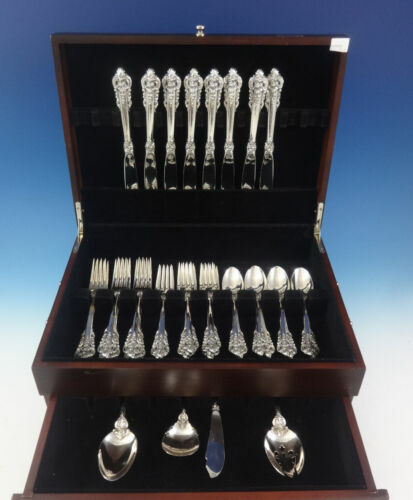 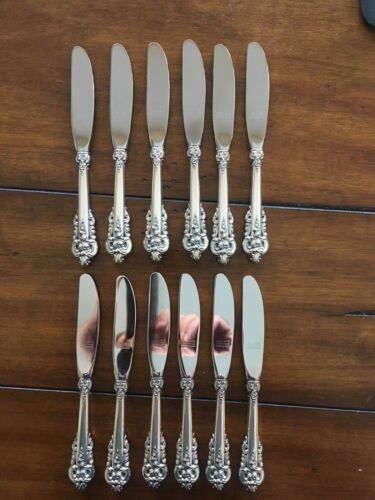 $250.0 7 Whiting King Edward Sterling Silver Dinner Knives 1901 8 5/8"
$250.0 6 Whiting King Edward Sterling Silver Blunt Luncheon Dessert Knives 1901 8 5/8"
$2150.0 LUNT ELOQUENCE STERLING SILVER FLATWARE with Chest SET of 68 piece. 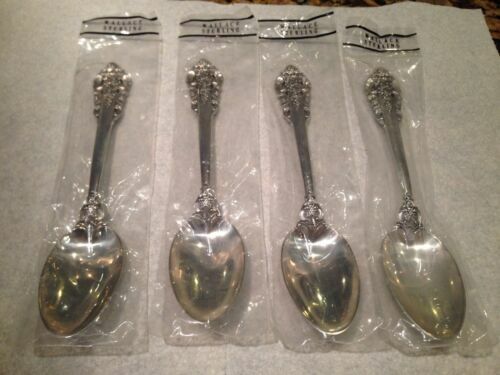 $209.0 Grande Baroque by Wallace Sterling Silver Berry Spoon with Fruit-in-Bowl 8 3/4"